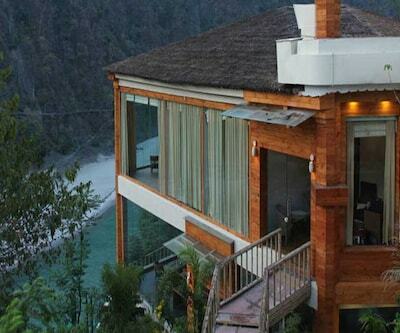 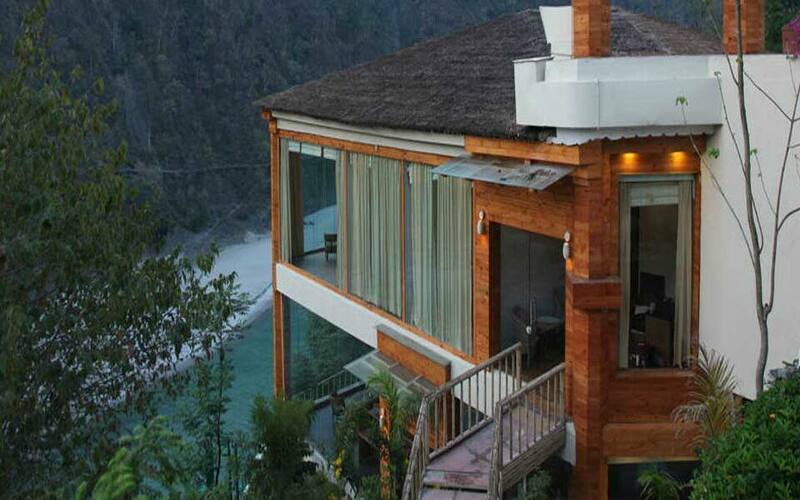 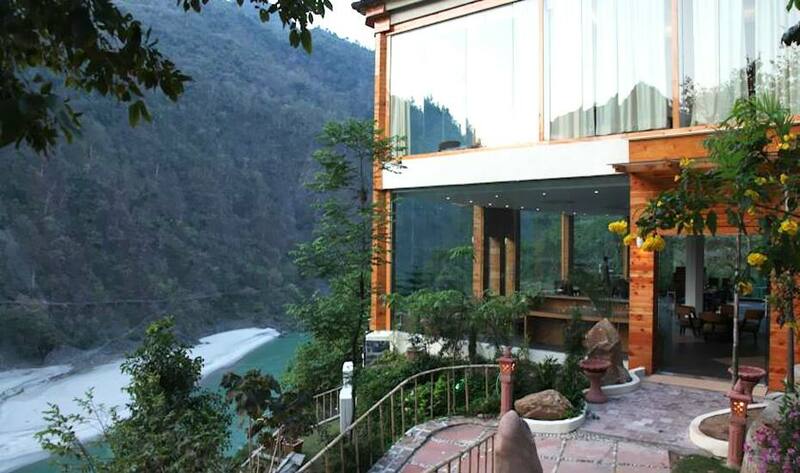 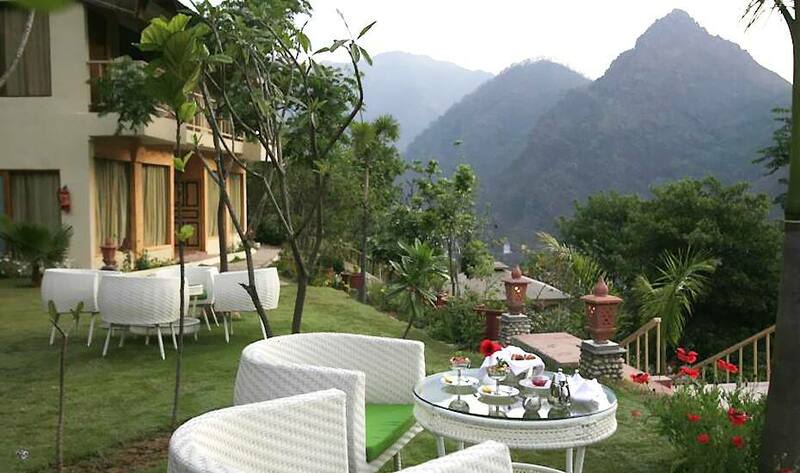 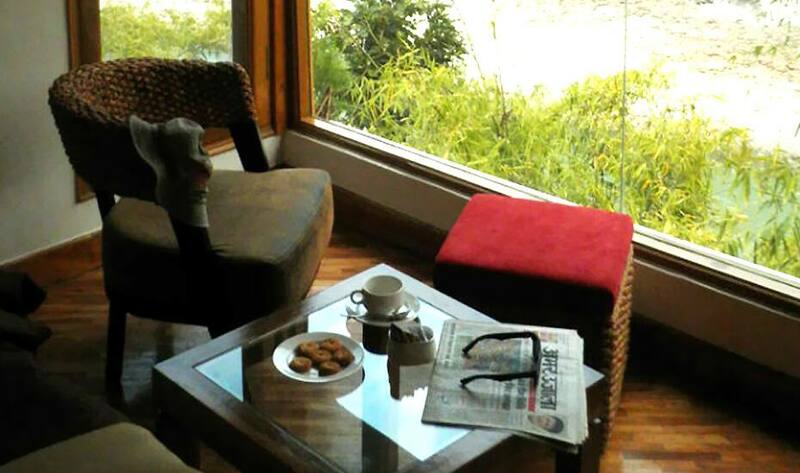 Raga on the Ganges is a wellness resort situated on the Devprayag Road, in a picturesque locale in Byasi, Rishikesh. 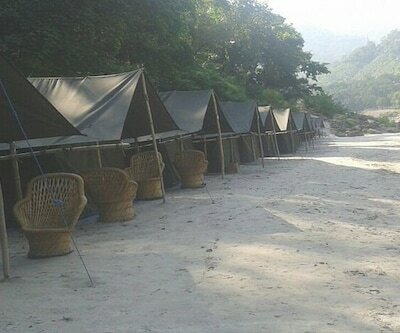 It is 3km from the Red Chilli Camp. 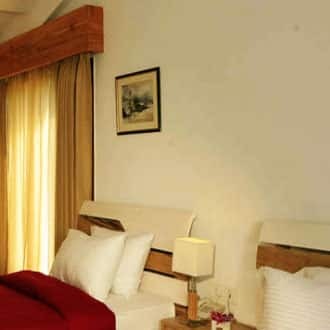 The 4-star property features terraces offering beautiful views, an Ayurvedic spa and a restaurant with floor to ceiling windows. 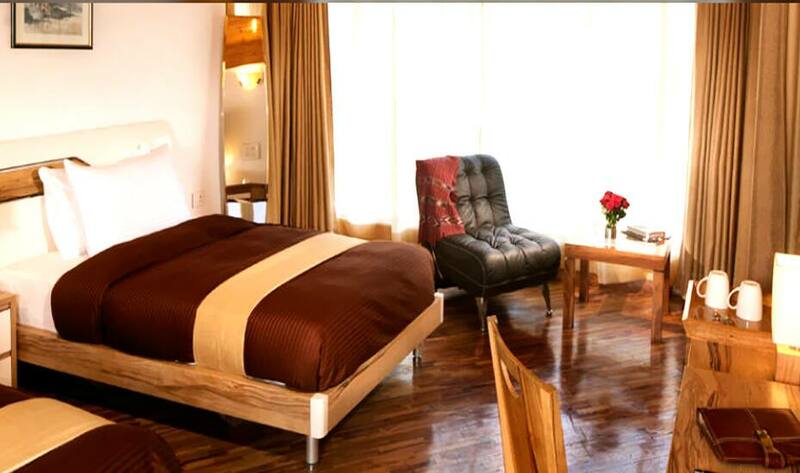 The rustic style rooms have wood-lined ceilings and feature all necessary amenities. 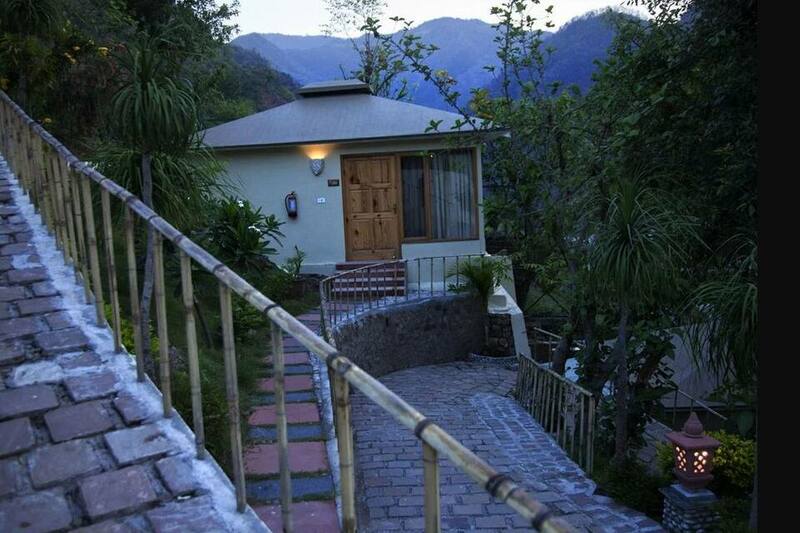 Byasi Forest Camp is 5km away, Laxman Jhula is at 30km, Himalayan Yog Ashram is at 31km, and Triveni Ghats is 34km away. 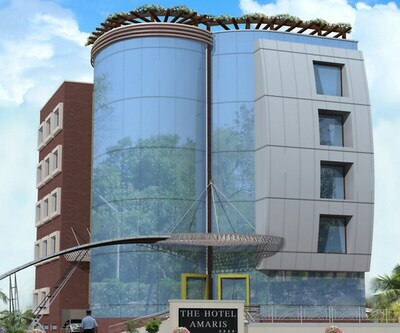 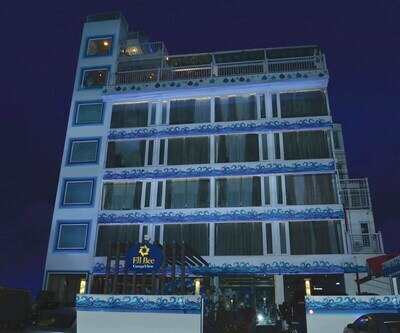 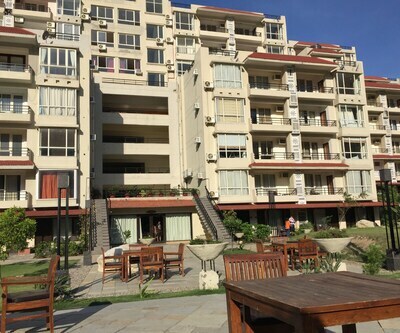 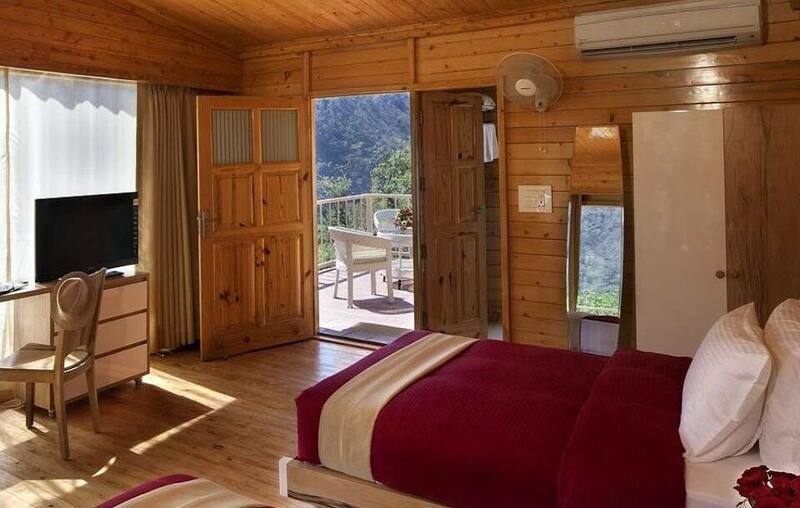 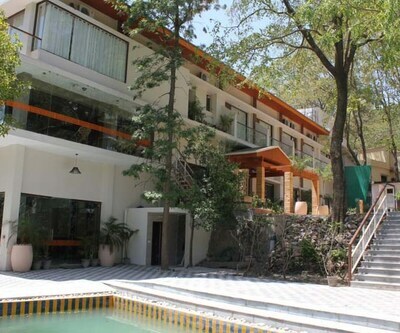 The resort is 35km from the Rishikesh Railway Station and 57km from the Jolly Grant Airport. 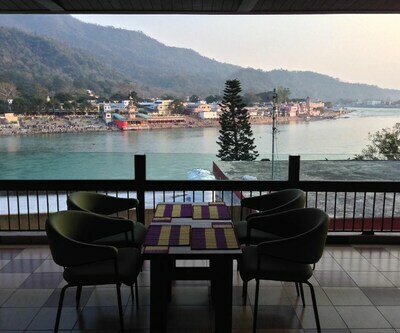 It is 30km from Rishikesh city centre. 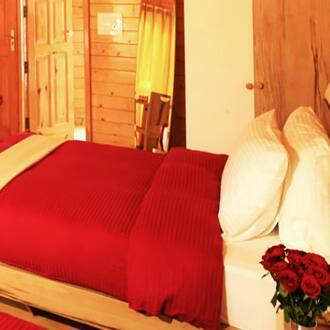 The resort has 31 rooms including Standard Rooms, Log Huts and Log Cottages. 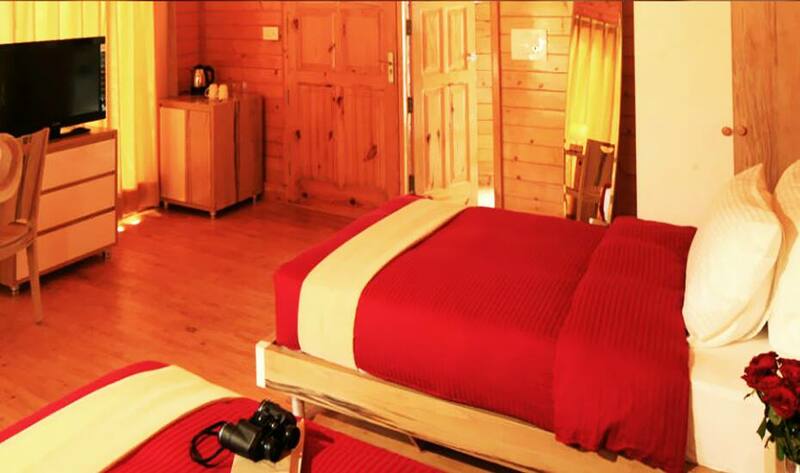 These soundproof rooms are air-conditioned and feature a flat-screen TV, heater, telephone, safe, bottled water, mini bar and kettle. 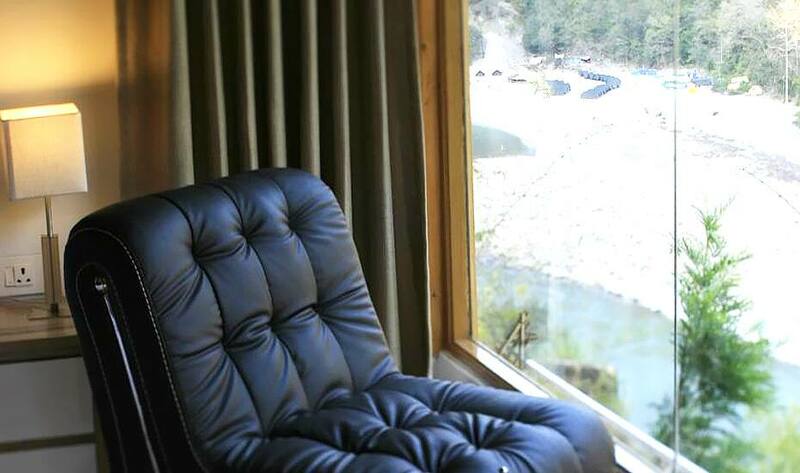 Some rooms have private seating area. 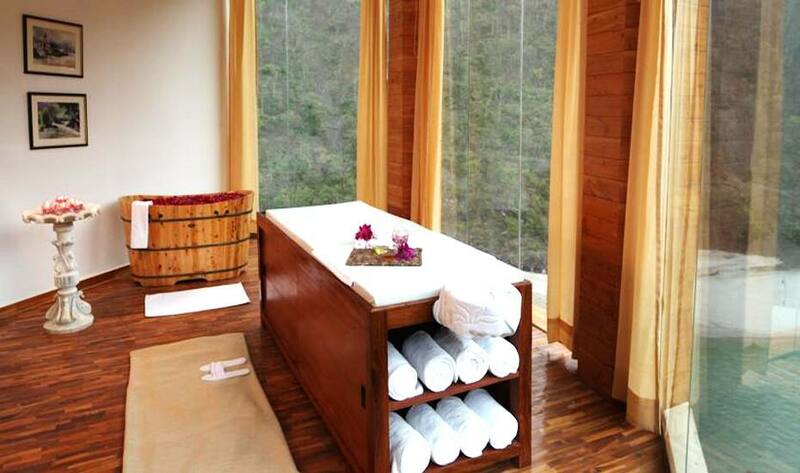 Bathrooms have showers or bathtub and hair-dryer. 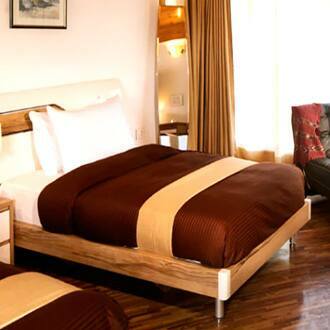 Complimentary toiletries and bathrobes are provided. 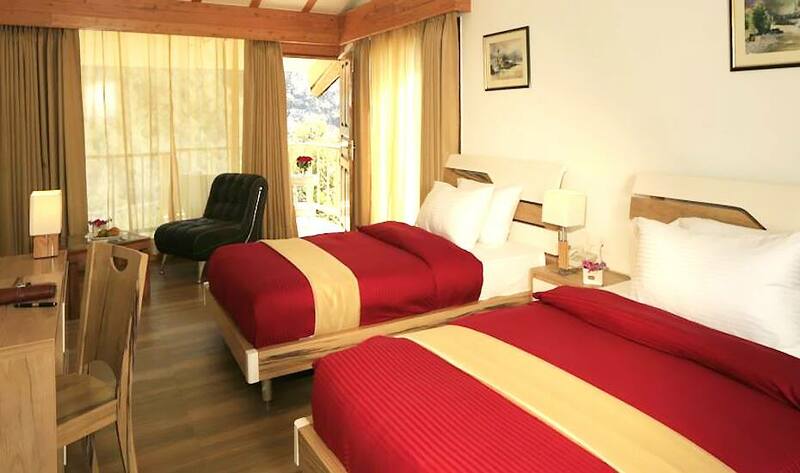 Room and laundry services are provided. 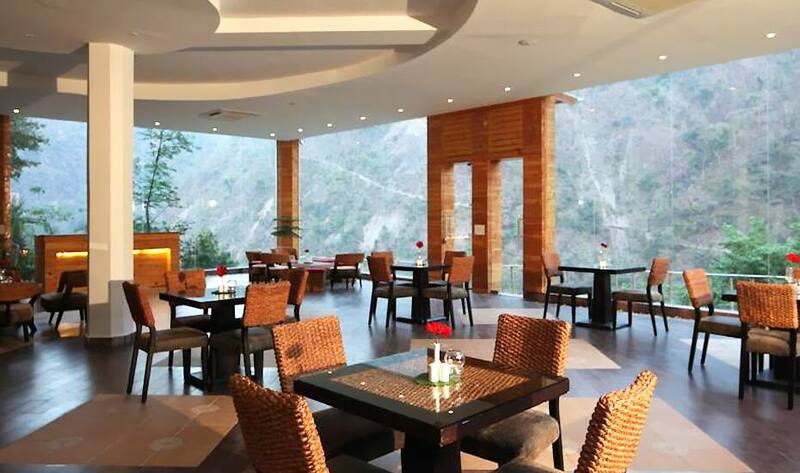 Tarana is the on-site restaurant that serves Garhwali cuisine. 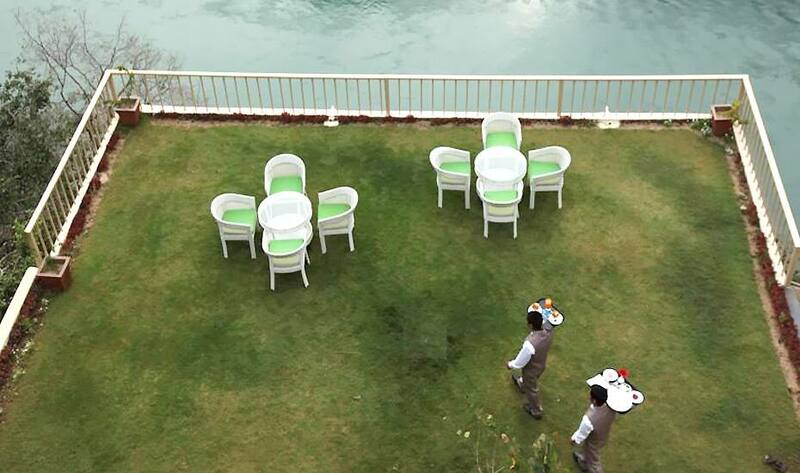 Non alcoholic beverages, tandoori dishes and kebabs are served too. 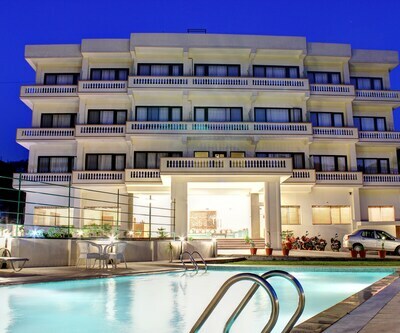 The resort offers an outdoor pool, spa, sauna, hydrotherapy, Jacuzzi, steam bath, rejuvenation treatments, garden, and fitness centre. 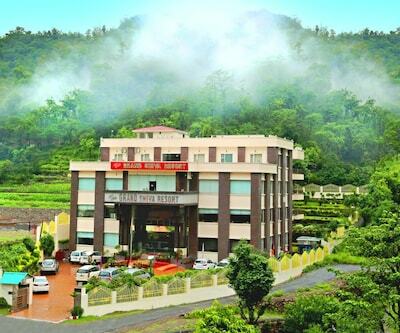 It has meeting and banquet facilities. 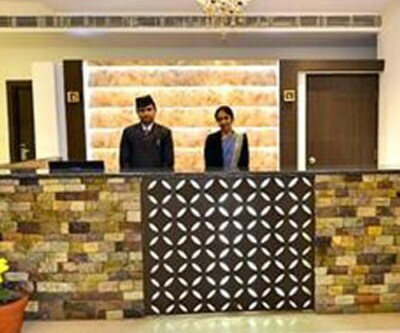 Services include 24-hour front desk, tour desk, luggage storage, currency exchange, and free parking. 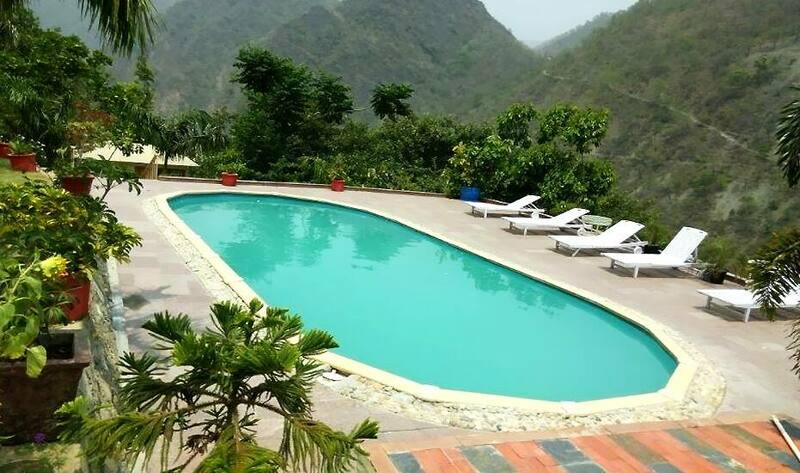 White water rafting, rappelling, trekking, canoeing, bonfires and cycling can be arranged. 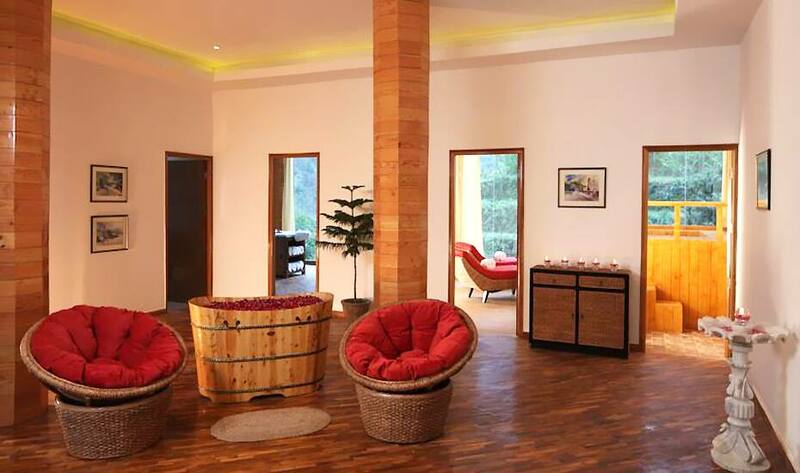 What people love the most about this property is its natural setting and rejuvenating experiences.